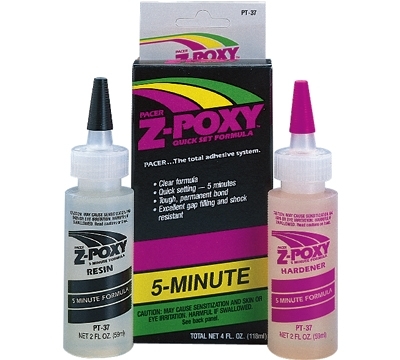 Z-Poxy Glue, a 5-minute, quick-set formula comes in a set of two bottles of 2 oz. each. One 2 oz. bottle holds the resin, the other 2 oz. bottle holds the hardener. Use with Fibre, Aegis and Ivorine ferrules.